The clean natural environment is the ecological bedrock on which all life depends. Kardisi company has a very expert staff and programs for the preservation of our environment, for its ecological value, and for the inspiration and wonder it provides for our nation’s people. We work, cooperate and create great solutions for oil companies to manage their waste and preserve our pure natural environment. Our drilling waste management services are based on our Waste Management expert team which governs the way we deal with solids control and waste disposal in all the drilling activities. 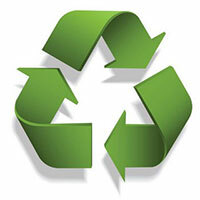 The four levels of this basic process is reduction at source, recycling, treatment and disposal. To ensure that these steps are well implemented, precise planning for both environmental protection as well as cost-effectiveness is pivotal. This involves studies to review both the project and the disposal criteria which need to be customized for specific requirements. Drilling waste management (DWM) services provided by Kardisi Company help the oil companies to get rid of the wastes generated during drilling activities and reduce them to perfect environmental levels. Copyright © 2019 Kardisi CO || Designed by XByte Team.